Real winter weather is just around the corner in our neck of the woods(some of you are already seeing snow!) and part of every outdoor chef's late season preparation should be winterizing the outdoor version of their kitchen. Whether you have a standalone grill or a full-blown outdoor kitchen, these tips are sure to help keep your space in tip top shape. Big thanks to Marisa Alan from Outdoor Living for contributing to Cupboards Blog! Winter’s fast approaching, and that means cold temperatures and precipitation are on the way. If you’ve spent a lot of time working on your outdoor kitchen, this can make for a disaster if you don’t plan properly. But it’s actually pretty easy to get your kitchen ready for cool weather. Here are the 4 tips you need to know for winterizing your outdoor kitchen. First and foremost, shut all water off. This includes all lines going to sinks, ice makers, and any other hoses or faucets. Don’t wait until the night of your first freeze to do this. 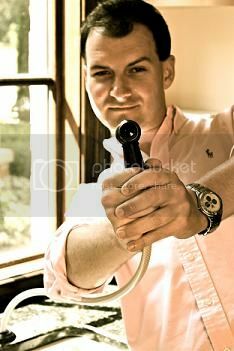 You want to get it shut off well in advance so any water still in the pipes can dry up. If not, you could end up with a pipe bursting and some major repair bills on your hands! Extra tip: remember to insulate all faucets attached to the outside of your home when freezing temperatures get close. Since you’re getting everything moved around, put away, and ready to be stored for a few months, it’s a good idea to go ahead and give it a cleaning too. Use a stainless steel cleaning fluid on all stainless surfaces (a bit of polish is a good idea as well) and remember to scrub down all cooking grates and remove any debris that’s fallen back in your grill. This is also a good time to check for things like leaves and small twigs that can get stuck behind refrigerators and other large accessories. Finally, when you’re ready to put everything under wraps until next spring, use some covers to do it. Things like your grill, sink, and pizza oven can all benefit from them, as they’ll prevent snow and ice buildup, keep pesky critters from invading, and stave off any lawn debris that might blow through. Make sure to look for covers made of high quality synthetic material designed for outdoor exposure that can take moisture and sunlight without breaking down, as they’ll do the best at keeping your items protected. An outdoor kitchen is one of the best investments you can make in your home, and it’s important to make sure it stays protected during winter. Take care of these 4 areas and your kitchen will look great for years to come! About The Author – Marissa Alan is a writer with Outdoor Living and loves talking seasonal design and decorating. For more on items like chimineas, outdoor grills, patio furniture, and patio heaters, visit OutdoorLiving.com. This are four convenient tips for winter-proofing our kitchen. My husband already bought a pipe bursting equipment in case our pipes dried up. 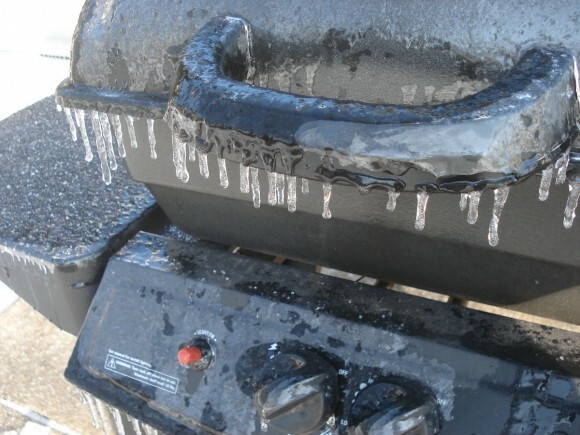 These are very helpful tips in protecting our outdoor kitchens during the winter season. A lot of homeowners who have this kind of kitchen will surely find these information useful. Thanks for sharing.